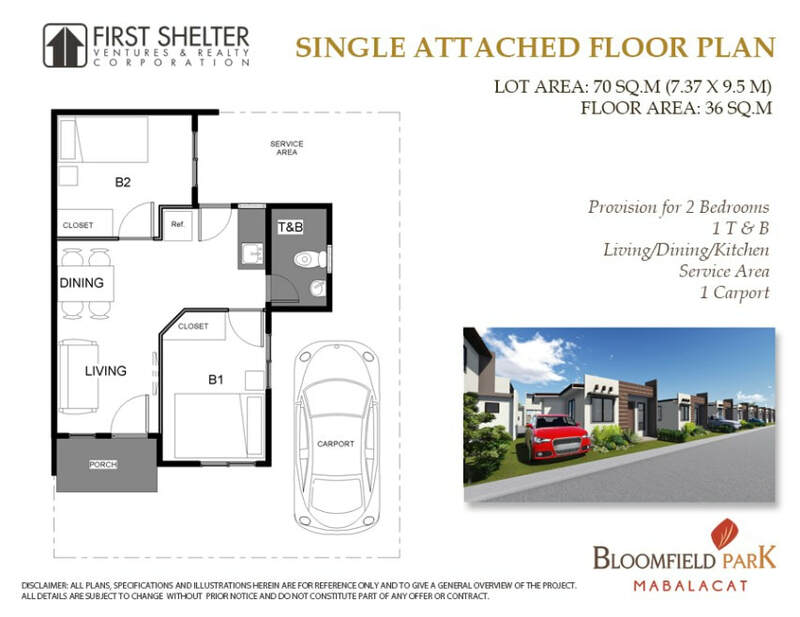 The Bloomfield Park is a 2.47-hectare development within Bloomfield’s growing community. 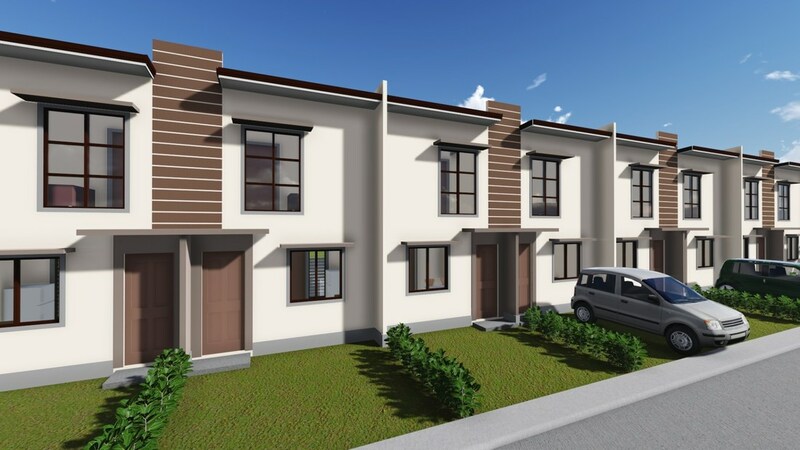 A wide range of housing options is available for its soon-to-be residents as this community will be composed of 2-storey townhouses, single attached and commercial units which will be ideal both for end-use and investment. 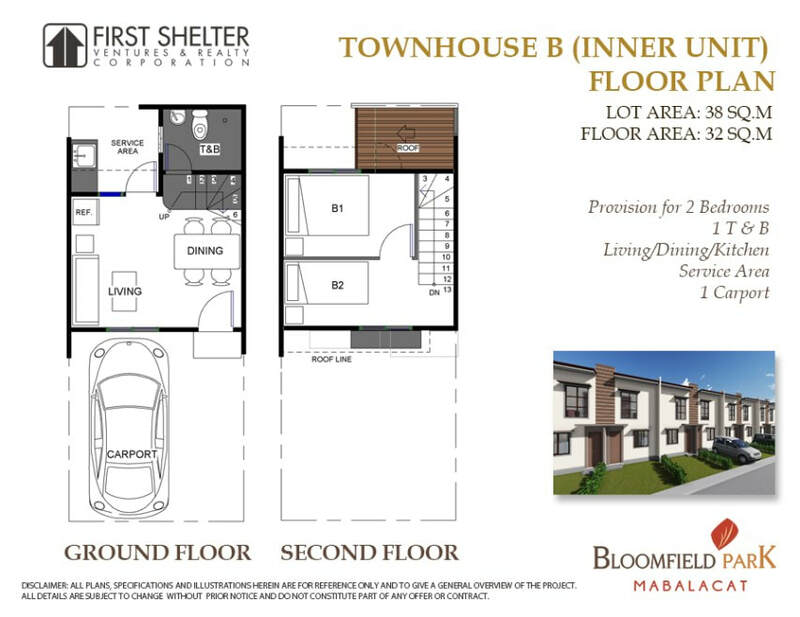 Strategically located in the city of Mabalacat, Pampanga, Bloomfield is the ideal community for start-up families and young working individuals who are looking for a home or investment. 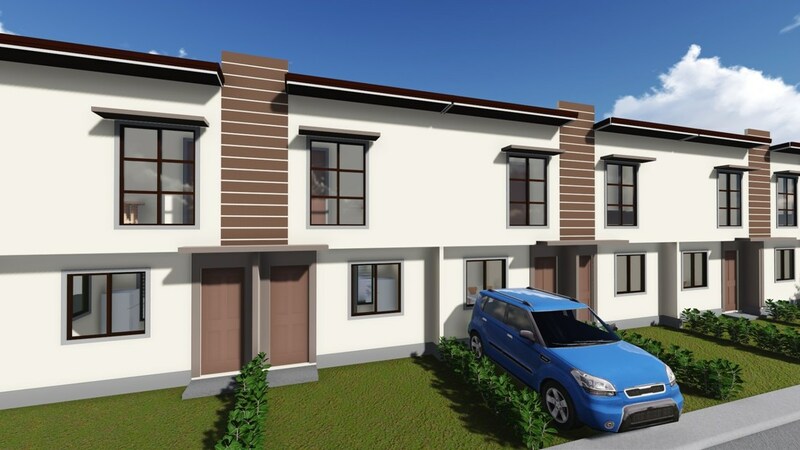 The development makes sure that it has adequate space for relaxation and recreational amenities. 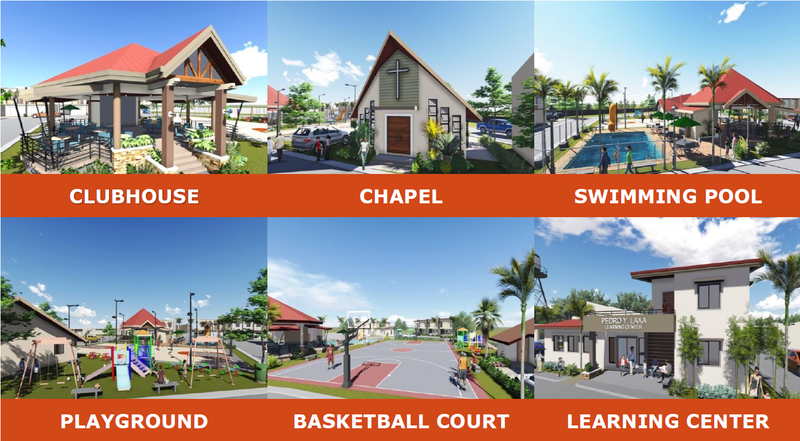 Within the Bloomfield Park is a clubhouse, chapel, swimming pool, basketball court and playground. 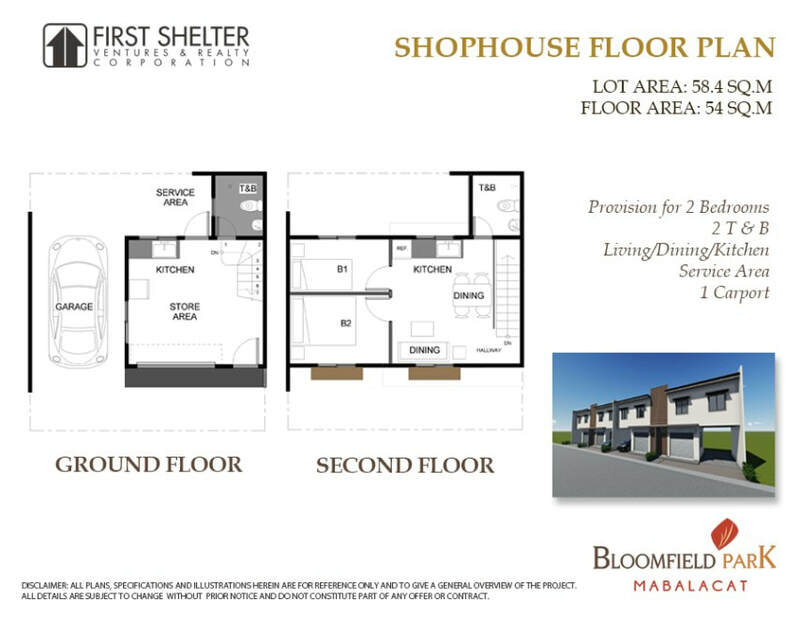 A stone’s throw away from commercial establishments, schools, transport terminals and shopping malls, Bloomfield will bring you closer to all the conveniences of city life. 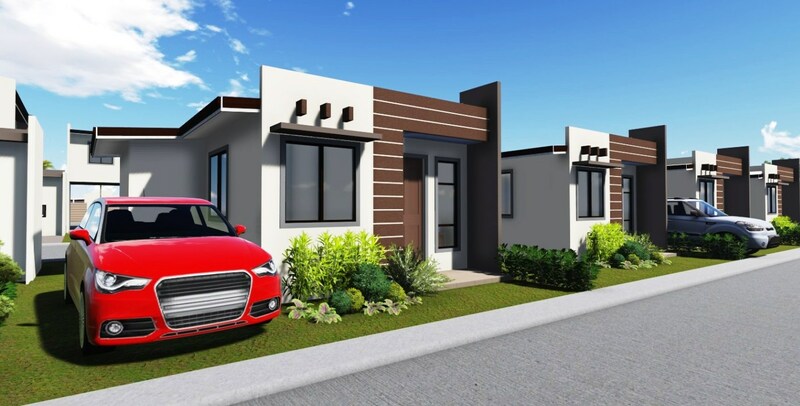 Total accessibility is ensured for its residents as it is situated along the Angeles-Magalang road where 24-hour public transportation is available. 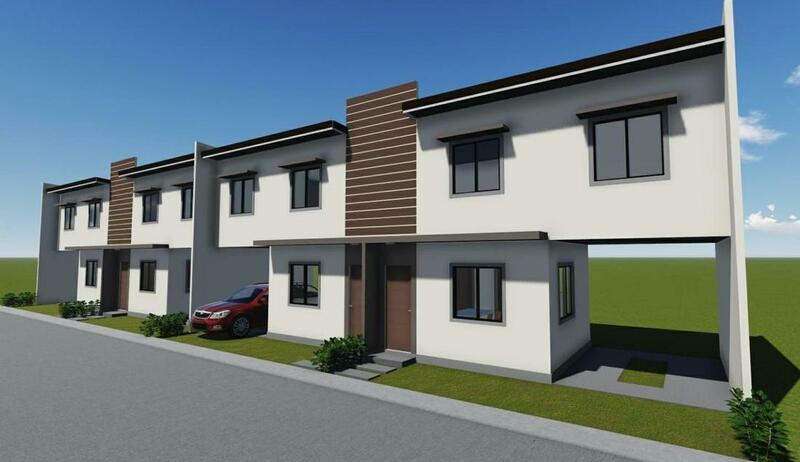 Feel safe and stay secure in this gated community with 90-meter walk on road right of way to the project site. 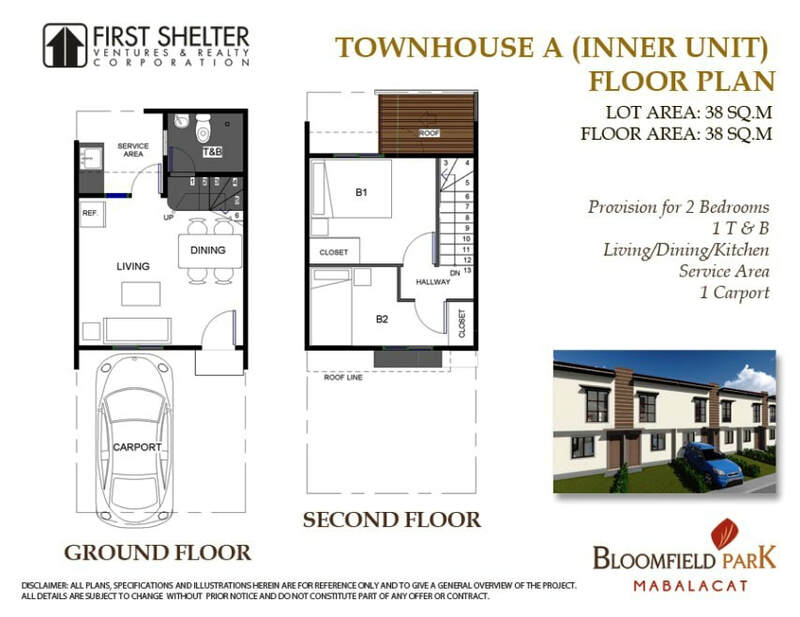 Bloomfield is also within a few kilometers away from the NLEX Angeles Exit and Marquee Mall, and easily accessible via the Mabalacat-Magalang road. 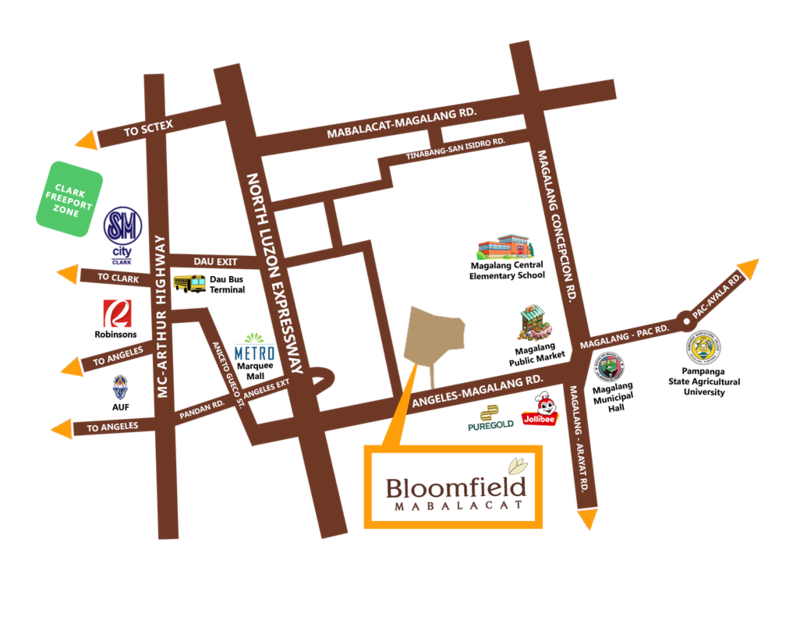 Bloomfield boasts of its uniquely designed facilities and amenities. Unwind during your leisure time at the clubhouse. Find time to pray and worship at the chapel. Relax and take a dip in the swimming pool. Have fun playing with your kids at the playground and basketball court.